If you’re thinking about changing things up in the kitchen, jalapenos are an awesome way to add a little bit of deliciousness and spice to your life. Whether you love the flavors in Mexican food or you just want to try something new, these delicious peppers can be included in a wide range of recipes. Instead of a standard all-beef, burger, add a few chopped jalapenos to the mix. This will definitely wake up your taste buds and turn up the heat, making them even more delicious than the ones you get at a standard barbecue. You can add some fresh ones to your jalapeno burger or look for ones that come pre-made. Jalapeno poppers are a popular appetizer at many restaurants, but you can also make them at home. Slice a fresh jalapeno in half and scrape the seeds out from the center using a knife or spoon. Fill the jalapeno with anything you like including cream cheese, and then wrap it in bacon for a truly enticing snack everyone will love. 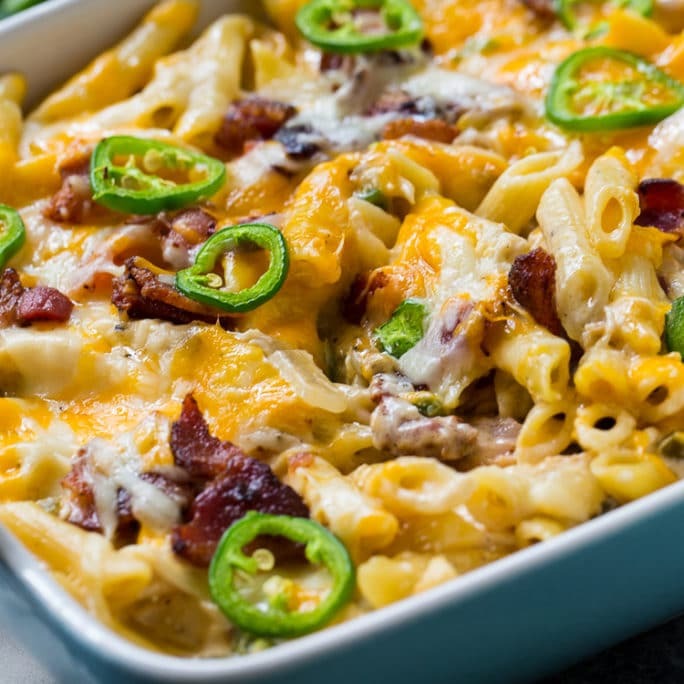 Add a little spice to classic dishes like macaroni and cheese by adding a few sliced jalapenos. Another delicious alternative is to add pieces of this spicy pepper to homemade cornbread. Simply add them to the mix and bake like you normally would. You can even add some to your morning scrambled eggs for a little culinary pick-me-up. You’ll end up with a spicy twist on a dish that is sure to become an instant favorite. Whether it’s roasted corn or even a salad, throw in a few jalapenos to make vegetables taste more interesting. Since these peppers are a versatile choice for a wide range of recipes, you can get as creative as you like. Roast them with vegetarian chili, or add them to fresh guacamole to make all of your veggie dishes really pop. From classic burgers to cornbread, jalapenos add a dash of extra spice to almost any food. You can find these green-colored peppers at most local grocery stores. Get creative and think about how many different recipes you can try to incorporate jalapenos. You might just be surprised at how much difference this little pepper can make in the flavor of your favorite recipes.